Today I am teaming up with Nuna and my good friend Laura from Walking in Memphis in High Heels to give one lucky reader a Nuna IVVI stroller. These are a couple of throwback pictures because Andi was really not in the mood for pictures when we tried to take some of her in the stroller this weekend. The Nuna IVVI stroller has been one of my favorites. I have used it a ton both with the car seat and with the seat. I have a review on it (and a few other strollers) here, so you can read a little about what I have thought of the stroller. Andi has loved this seat from a very small age. To enter just follow the rafflecopter widget below! I am excited for this giveaway. I love giving away mom products that I have used and loved! I know whoever gets this stroller will love it also! Good Luck! PS I linked some of these items I am wearing that are back in stock and some similar ones below! I am so excited for Spring and Summer! My favorite Nuna product is the Pipa! My fav Nuna product is ivvi. Hope I am lucky enough to get it for free! I don't have any Nuna products because I am not a Mom yet, but I would love for this stroller to be the first item that I receive!!! I love Nuna's strollers, but their Nuna Leaf is great too! I love the Nuna IVVI-such a great looking stroller! I would love to win one! My Fav Nuna product is IVVI stroller. We have the pipa and I LOVE it! Best car seat out there! Such a great looking stroller! Love the size of the basket. The baby seats are so cool looking!! Also love the high chair! Love the PIPA!! Would love to have the stroller too!! Would love this as a surprise for my wife! The Nuna IVVI is definitely my favorite stroller! I am due in May and have my eye on this stroller. You look fantastic by the way! Love this giveaway! Currently 22 weeks pregnant and very much in the need of a stroller!! I have never tried a Nuna product, but I would love a Tavo with baby #2 coming! My favorite is the SENA play yard. I love this stroller! I am sick of using my jogging stroller as an everyday stroller. My favorite nuna product is a tie between this stroller and the car seat. If I have another baby I am buying the nuna car seat for sure. Ours is super heavy, especially when you add a 20lb babe. The Zaaz high chair looks awesome! I also love that you can just snap in the car seat to this stroller! This looks like the perfect stroller! My favorite NUNA product is the Leaf! I'd absolutely love the stroller! Especially since we're trying for baby #2! This stroller looks awesome! and you look fabulous as always! I love Nuna products, but the leaf is my personal favorite! I don't have any yet, but I think the Leaf looks really awesome! The Pipa is #1 on my list, and the Nuna Ivvi would be the perfect pair. Would love you try this! Pregnant with my first and I am obsessed with all of the Nuna products! I would love to try Nuna. My boy needs a stroller to ride in style! Excited about this giveaway. Love following you! The car seats look amazing! So in love with all things Nuna, loving the Ivvy and Pipa! Love the nuna leaf - now I need this! My fave Nuna product is the IVVI! Nuna makes such great products - I've loved everything I try from them. Hopefully I get a change to try the Ivvi, too! I love the strollers! They are so innovative and look comfortable for my babe! I love this stroller! I'm not a fan of the one I currently have. Love your blog! Really appreciated your review - with so many strollers on the market it is impossible to decide! This one looks like a great one - would love to win! My favorite is the Sena Mini! I love the car seat! I love all the strollers but if I had to pick one it would be the Pepp! My fav Nuna product is ivvi! I would love this stroller! One of my favorite things to do is go for a walk with my daughter. I would love to win this stroller. I've heard such wonderful things about it. I'm expecting my first child, a baby girl, on the 4th of July :) Would love love love this stroller for walking the streets of San Francisco! I LOVE the Ivvi stroller!!! Winning this stroller would prove this pregnancy was meant to be :-). Congrats on your 2nd!! Oh I would love the stroller!! I am due with my first in June!we are currently stroller shopping now and wow there are so so many!! This one seems like it has it all! I'm not sure what my favorite Nuna product is, my baby isn't due until August! I definitely plan on trying some of them and I keep telling my husband we need the Pipa car seat. Thanks for hosting this giveaway Jade! Hard to decide between the Ivvi and the Pepp! Both would be awesome! Just found out we are expecting our first, so I don't know much about Nuna Products yet, but I am sure I will soon! I would love to win this...expecting our first little one later this year!! I haven't tried any of the Nuna products but would love to! Their products have great reviews and they all look so good! I haven't tried any of the Nuna products and I am currently on the market for a new stroller. I'm dying to try Nuna products. I have been eyeing the MIXX because it looks so easy to fold and store in my trunk! I love Nuna!!! Ps, love your outfit in the first photo! Nuna play-yards are the best. Easy to set up and take down! The Zaaz high chair looks pretty cool. I have not had the chance to try out any Nuna products, but I am in need of a new stroller! Would love to win this for my best friend who is expecting! I would love to win the Nuna stroller! Leaf Curv! So essential for a new baby! Would love to win the Nuna stroller! Her little socks sticking out of the stroller are so cute! We're first time parents-to-be in early June and love the look and safety features of the Pipa! Love this stroller and pipa!! We love the Nuna Leaf! Love the Nuna LEAF! What a wonderful giveaway. You will make one lucky lady very happy! My baby daughter would love this stroller! Would love to get that Nuna Ivvi stroller! I love how versatile it is! I like the pipa car seat. Love your outfit! I love all the Nuna products but dont have any yet, thinking about getting the Leaf for my baby boy due next month! Would love to have the stroller as well! We have the Nuna Sena. It's really great and easy to use. We have a graco pack and play that I use at my mom's house and it's such a pain to break down. I like traveling with the Sena so much better. I would recommend for your second! There are just some things you have less time for with two under two! Congrats, it's so exciting! I've never tried any products by Nuna but was just telling my husband a few days ago how bad I wanted this stroller! Oh I would love to win!! I need a stroller badly!! Congrats on your baby boy on the way! They are so much fun! I forgot to say that I love the Nuna Ivvi stroller! Congrats!! Andi will be such a great big sister. Wow, congratulations! I'm happy for you! My favorite Nuna product is the Pipa carseat! Safe, secure and comfortable for baby! The Nuna Leaf + Wind! I love that it can be used into the toddler years. We have the nuna leaf and love it! I LOVE the Nuna LEAF! My favorite Nuna product is the Ivvi stroller! We just recently found out we are pregnant, and what a way to celebrate this would be! I've slowly learned I'm in need of more than one stroller haha. Plus I get tired of taking one out of the car to use when I want Togo for a walk. Although that could just be my laziness haha. Jade, you and I are both due in June! This will be our first and I am so thankful for this journey we are on. God Bless! I have never used any of there products but the leaf looks great! Not a huge swing and so cozy looking! I don't have any Nuna products, but I have heard AMAZING things about them! If I hadn't already invested in my stuff for my daughter, I would have headed straight for Nuna! I unfortunately do not have any Nuna products but I would love to try. This looks like a great stroller! I love this stroller but I also like the Nuna LEAF curve. It is so sleek and modern. I absolutely adore the Nuna Pipa car seat! I think the extra sun shade it has is so beneficial to have since I live in sunny Southern California! I am excited that you're having a little boy in June so I can see all your cute baby clothes, since I too am pregnant with a little boy due in June! I love their Leaf Curv seat, so perfect! My favorite Nuna product so far is the Sena! It has been so convenient for us to use on trips and around the house! I've been dying to get an Ivvi! Love, love, love Nuna products!! I have never actually used any Nuna products before since I am expecting my first little one (a boy also!) at the end of May, but boy do I sure have a lot on my registry to try from them! I am especially looking forward to one of their strollers and their car seat. Thank you for doing this giveaway, how fun!!! My sister used this stroller and said it's amazing! Would love to check this out! Love the Pipa! Would love to win this stroller!! We have the Nuna Sena and love it!!! We have the nuna playpen and love it! I love how neutral it is and that I can trust that it's made from high quality materials. :) I'd love to try the stroller! I love the Nuna pipa & would love to use it with this stroller! Obsessed with these strollers! My hubby and I are trying for second baby and would love to win one! I would LOVE to win this for my little munchkin! He loves being in the stroller but it's so bulky, and this stroller looks so convenient for travel, which we do ALOT! I love too many to name just one but the stroller looks amazing! Ahhh I am dying for this stroller for my soon to be first born baby girl! What a wonderful giveaway! I have heard wonderful things about this stroller! Would love to win and also interested in trying out more Nuna products! I love the Nuna leaf! My niece has it and I so badly want it for my baby along with the stroller! This stroller is pure gorgeousness!!! I love the color!! Ahhhhh i would love to win this nuna!!!! So sad i havent heard of this brand with my first baby! I heard so much of thr nuna leaf already! Would love this stroller for our first, due in April. Plan on using the pippa infant seat,can't wait! I am due in June with my 4th, and I have not experienced the great looking Nuna products yet. Would love to win this beautiful stroller! Really hoping for a new stroller! I would love to own this stroller! I love your blog and your style. Congrats on your beautiful growing family! I've always been a fan of this stroller! Nuna products are great and beautifully made! We are expecting our first babe in September! I've done so much research already and the Nuna products looked perfect! Would love a Nuna stroller for my first little baby due in September! Thanks for the opportunity! What an awesome opportunity! Thank you! I hope you enjoy your other stroller upgrade, too! I just purchased the Nuna car seat and love it! 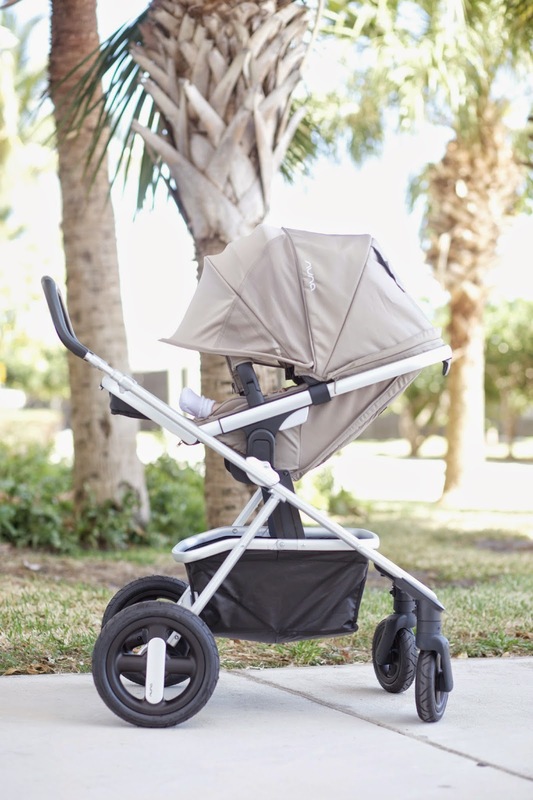 I would love to win this beautiful stroller as my first Nuna product. Your outfits and the stroller are amazing!! I love this giveaway! Love the stroller, would be wonderful to win for my baby that is due in July. I've never had any products from the company but have always heard great reviews!! We are excited to welcome our sweet little angel baby (a boy) to the world beginning of June. It's amazing the amount of time and research it takes registering for the safest products for these little ones! Would love the opportunity to win this stroller! This is such an incredible opportunity! Thank you so much! I love the Nuna Pipa! Awesome car seat! I can't wait to try out this stroller for my first baby! All wonderful products, but I definitely love the Tavo in mykonos. I had the Nuna pipa car seat with my first baby and it was amazing! Would love to have the Nuna Pipa and the IVVI for my first due in October! Would love to try any of the nuna products! I've never used any Nuna products before! Would love the chance! This stroller looks great! I would burst into tears if I won this gorgeous stroller! I am expecting my first child, a boy, in 12 weeks! Winning this stroller would be such a blessing! My favorite Nuna product is the IVVI and I also love the Leaf! The Leaf swaying seat would be perfect for my baby boy. And I LOVE the strollers! Their Zaaz highchair looks amazing too! But the stroller is definitely my favorite. The leaf swaying seat is amazing and perfect for babies. Congrats on your next baby! Time is precious! I don't own any Nuna products yet but if I did, the IVVI stroller would be my choice!! My 11 month old would love this. The stroller is definitely my favorite!! I love my Sena Mini...use it daily! This would be my first stroller! I 💜💜💜 the basket at the bottom!!! awesome! We have been searching for a new stroller! I've never used any Nuna products but they all look amazing and I want to in the future! I don't have any nuna products unfortunately, but would love if this was my first! I don't have any products yet, but we just found we are pregnant so I'm so excited to try some of their things!! !